The Productivity Commission today released its draft report on the Economic Regulation of Airports. We recently prepared analysis for Australia’s major airports and showed that airports have not been exercising market power in aeronautical, car parking or ground access services. The draft report finds that existing airport regulation benefits the community and remains fit for purpose, and agrees with our analysis that Australia’s four major airports have not systematically exercised market power. In aeronautical services, airports are constrained by the countervailing power of airlines, and generate “returns sufficient to promote investment while not earning excessive profits”. Prices at airport car parks are “not the result of market power”, but reflect the high opportunity cost of land near airport terminals, and act as signals to manage demand and reduce congestion. Airports are constrained in car parking by the myriad ways to access the airport. The PC also finds that the current approach to regulation works well and wholesale changes are not justified. Instead, it recommends updating the current monitoring regime so that airports include more detail in their cost and revenue reporting to assist in future assessments on the effectiveness of regulation. The PC is now accepting feedback on the draft report ahead of the final report in June. The HoustonKemp team advising Australia’s major airports included Greg, Luke, Brendan, Sarah, Bronwyn, Alyse and Nick. Posted on February 7, 2019 by Nicole Dann and filed under Reports and tagged Greg Houston Brendan Quach Bronwyn McDonald Luke Wainscoat Nick Twort Sarah Turner Alyse Corcoran. Today the ACCC submitted to the Productivity Commission’s inquiry into airport regulation that the current price monitoring regime is not effective in constraining airports’ market power, and that increased regulatory intervention is required (see here). But the ACCC’s evidence for the exercise of market power is thin: an assertion as to rising average revenues per passenger and quality of service metrics that remain ‘stable’. Substantial new investment in runway and terminal capacity has been overlooked, and the ACCC’s average revenue per passenger metric is heavily distorted by the changing mix of international and domestic passengers. HoustonKemp analysis for the Australian Airports Association (see here) shows a very different picture. The long term profitability of aeronautical services provided at each of the four monitored airports show no signs of market power, with returns on investment over ten years all converging to within the range of weighted average cost of capital estimates previously adopted by the ACCC itself and New Zealand’s Commerce Commission. We look forward to the Productivity Commission’s evidence-based analysis. Posted on September 18, 2018 by Nicole Dann and filed under Reports and tagged Brendan Quach Luke Wainscoat Bronwyn McDonald Alyse Corcoran. Airport market power – taking off or pie in the sky? Greg, Luke, Sarah, Bronwyn and Nick recently advised Australia’s four major airports as part of the Productivity Commission’s inquiry into airport regulation. We analysed the extent to which the airports have market power in car parking and ground access, and whether they have used any such power. Our analysis shows that, despite the ACCC’s repeated claims of “very high” profit margins (see here), the airports do not appear to be exercising market power in the provision of car parking or ground access services. Indeed, car parking prices appear to be explained to a significant extent by locational rents and convenience premiums, which are key elements of efficient pricing. The airports are materially constrained in car parking by off-airport car parking operators and the availability of many other transport options with a diverse range of features and prices. The airports also have a strong incentive to maximise the number of visitors accessing the airport, since ground access revenues tend to represent only a small proportion of total airport revenue. Our reports can be found here: Brisbane Airport, Melbourne Airport, Perth Airport and Sydney Airport. Posted on September 11, 2018 by Nicole Dann and filed under Reports and tagged Greg Houston Sarah Turner Luke Wainscoat Nick Twort Bronwyn McDonald. Greg prepared two expert reports on behalf of Complete Office Supplies that, with the assistance of Luke and Tony, were submitted to the High Court of New Zealand. Complete Office Supplies’ brought injunction proceedings to prevent Platinum from acquiring rival office supplies firm OfficeMax. The Commerce Commission subsequently joined the proceedings. Later Platinum agreed to divest Winc to a purchaser approved by the Commission once it acquired OfficeMax. Posted on November 29, 2017 by Nicole Dann and filed under Reports and tagged Luke Wainscoat Greg Houston Tony Chen. 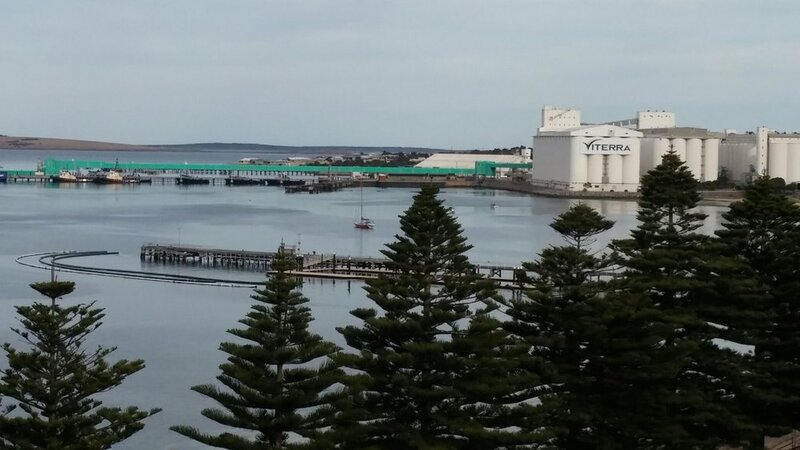 HoustonKemp has been working with ElectraNet on a RIT-T assessment of options for electricity transmission upgrades on the Eyre Peninsula. We have undertaken the wholesale market modelling for the RIT-T assessment and also applied real option valuation – the first time this has been done formally for a RIT-T. Ann Whitfield, Tom Graham and Sam Forrest are presenting on this approach at the ElectraNet public forums in Port Lincoln (November 20) and Adelaide (November 27). ElectraNet’s RIT-T assessment can be accessed here. Posted on November 23, 2017 by Nicole Dann and filed under Reports and tagged Ann Whitfield Sam Forrest Tom Graham. HoustonKemp provided an independent report in relation to the first formal dispute of a regulatory investment test outcome. The review related to SA Power Network’s RIT-D assessment of the Kangaroo Island submarine cable. We were asked by the AER to consider whether the RIT-D had been applied in accordance with the regulatory framework and, if not, whether this is likely to have materially affected the outcome. Our report has been published by the AER is and available here. Posted on May 22, 2017 by Nicole Dann and filed under Reports and tagged Ann Whitfield Stuart Morrison. As part of its Powering Sydney’s Future (PSF) RIT-T assessment, TransGrid has published a report prepared by HoustonKemp on the issues to be considered in determining a commercial discount rate for a RIT-T application. Our report also provides a “first-pass” indicative commercial discount rate that we consider appropriate to apply to the PSF RIT-T. Our report can be accessed here. Posted on May 9, 2017 by Nicole Dann and filed under Reports and tagged Brendan Quach Ann Whitfield. HoustonKemp has prepared a report for ActewAGL Retail, in relation to the ICRC’s draft decision to change the methodology for determining the retail margin component of regulated electricity standing offer prices. We considered the adequacy of the ICRC’s approach in light of the factors that may be expected to affect the costs recovered by the retail margin, the rationale provided by the ICRC and the approach adopted by other regulators. Our conclusion is that the ICRC’s central assumption that retail margin costs move in line with changes to CPI is not supported by any evidence, and our own assessment indicates that there are other drivers of these costs. Our report is available here. Posted on May 4, 2017 by Nicole Dann and filed under Reports and tagged Ann Whitfield Brendan Quach. Greg Houston prepared an expert report for Minter Ellison in relation to the application before the Australian Competition Tribunal by Tabcorp for authorisation to acquire Tatts. The report examines the effect of the proposed merger on competition, and the public benefits that are likely to arise. Greg was assisted by a number of our team including Luke Wainscoat, Sarah Turner, Daniel Young, Sam Forrest, Stuart Morrison and Sarah Nelson. The report is available here. Posted on May 4, 2017 by Nicole Dann and filed under Reports and tagged Greg Houston Sam Forrest Sarah Turner Daniel Young Sarah Nelson Stuart Morrison Luke Wainscoat. We were engaged by TransGrid to determine Value of Customer Reliability (VCR) estimates suitable for customers experiencing low probability but high impact supply outages in the Sydney CBD and Inner Suburbs regions. We were asked to determine these VCR estimates by drawing on existing, publicly available VCR studies. The values we derived were $90/kWh for Inner Suburbs customers and $150-$192/kWh for customers in the Sydney CBD. IPART has subsequently adopted our $90/kWh estimate in recommending reliability standards to apply to the Inner Sydney transmission network from 1 July 2018, available here. Posted on November 2, 2016 by Nicole Dann and filed under Reports and tagged Adrian Kemp Ann Whitfield Virginia Wheway. Adrian Kemp and Martin Chow led a team of HoustonKemp economists that examined potential road funding reform options and the implications of these reforms for remote and regional roads for Austroads. The report also provided a snapshot of current and past road related revenue, expenditure and funding to inform the debate. A copy of report can be found here. Posted on October 27, 2016 by Nicole Dann and filed under Reports and tagged Adrian Kemp Martin Chow. Adrian Kemp and Daniel Young led a team of HoustonKemp economists assisting the Port Authority of New South Wales to engage with the Independent Regulatory and Pricing Tribunal’s (IPART) review of maximum fees and site occupation charges for cruise ships in Sydney Harbour. 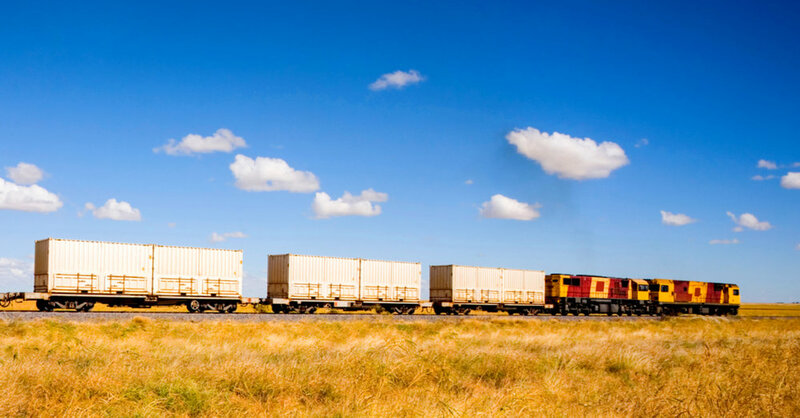 We helped the Port Authority prepare its responses to IPART’s issues paper and draft decisions, and to understand the implications of IPART’s emerging views on its business. Adrian and Daniel attended IPART’s public hearing on this topic on 23 August 2016. A transcript from the hearing is available here. Posted on October 6, 2016 by Nicole Dann and filed under Reports and tagged Daniel Young Adrian Kemp. Greg Houston and Carol Osborne assisted New Zealand electricity lines and gas pipelines business, Powerco, in relation to the Commerce Commission’s review of its ‘input methodologies’ for setting price and revenue caps. In a report on the methodology for determining the regulatory WACC, we identified elements with the potential to improve the incentives on businesses for prudent and efficient decision-making. In a second, supplementary report, we responded to submissions by the Major Energy Users Group and Sustainable Electricity Association New Zealand. These reports can be found here and here. Posted on September 16, 2015 by Merrilyn Bear and filed under Reports and tagged Greg Houston Carol Osborne. HoustonKemp was engaged by Chorus, the New Zealand telecommunication network owner, to provide advice in relation to the Commerce Commission’s framework for assessing whether an uplift should be applied to the WACC and/or price for Chorus’ unbundled cooper local loop services. We concluded that the Commission’s proposed framework did not give sufficient attention to the implications of its decision on investment incentives. Our report can be found here. Posted on May 18, 2015 by Merrilyn Bear and filed under Reports and tagged Greg Houston Carol Osborne Dale Yeats Tony Chen. Greg Houston, Jennifer Fish, Luke Wainscoat and Richard Grice prepared a report on the effects of the proposed Qantas/China Eastern Joint Coordination Agreement in the context of their application to the ACCC for authorisation of the agreement. Our report can be found beginning at page 113 here. Posted on May 5, 2015 by Merrilyn Bear and filed under Reports and tagged Greg Houston Jennifer Fish Luke Wainscoat Richard Grice. Adrian Kemp, Luke Wainscoat and Richard Grice prepared a report for Jemena Gas Networks (JGN) that examined the extent to which there is an increased opportunity for substitution from gas to electricity, and the implications for the incentives that JGN faces in operating its natural gas network in NSW. Our report can be found here, starting at page 14. Posted on May 5, 2015 by Merrilyn Bear and filed under Reports and tagged Adrian Kemp Luke Wainscoat Richard Grice. Greg Houston prepared an expert report for ActewAGL Distribution, evaluating the Australian Energy Regulator’s draft distribution determination for the 2015–19 regulatory control period. Greg’s report, prepared with the assistance of Ann Whitfield and Dale Yeats, provides an opinion on whether the AER’s determination is likely to contribute to the achievement of the National Electricity Objective (NEO) and to represent a materially preferable NEO decision. Our report can be found here. Posted on March 8, 2015 by Merrilyn Bear and filed under Reports and tagged Greg Houston Ann Whitfield Dale Yeats. Ann Whitfield, Brendan Quach and Ehson Shirazi prepared a report for ActewAGL Distribution illustrating Efficiency Benefit Sharing Schemes that could be applied where the network business’ operating expenditure allowance in the following regulatory period is set on the basis of either the network’s revealed opex costs or by reference to comparative efficiency. Our report is here. Posted on March 2, 2015 by Merrilyn Bear and filed under Reports and tagged Ann Whitfield Brendan Quach Ehson Shirazi.